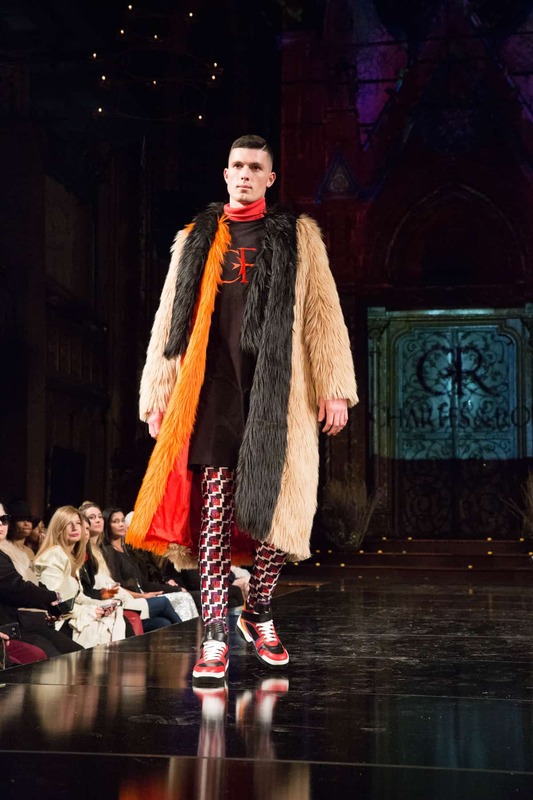 One of our can’t miss shows at New York Fashion Week each season is definitely Charles and Ron. 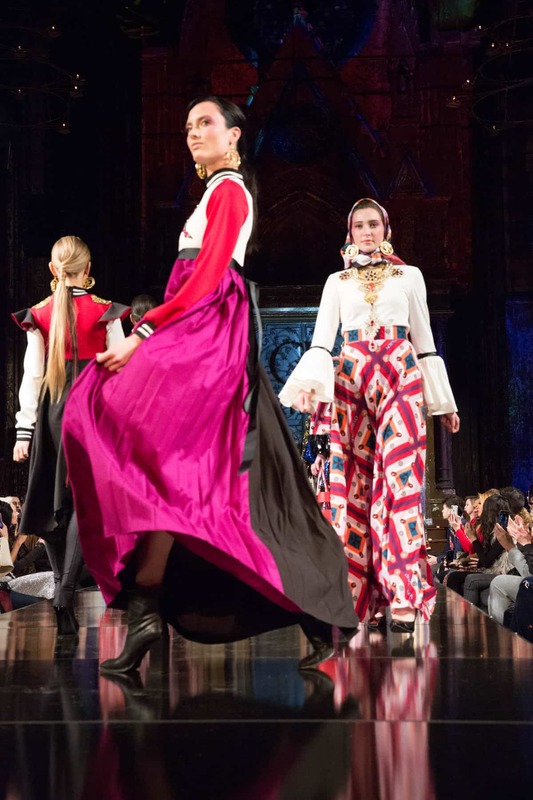 The Maltese duo return to Art Hearts Fashion at the Neo Gothic Angel Orensanz Foundation February 9th. 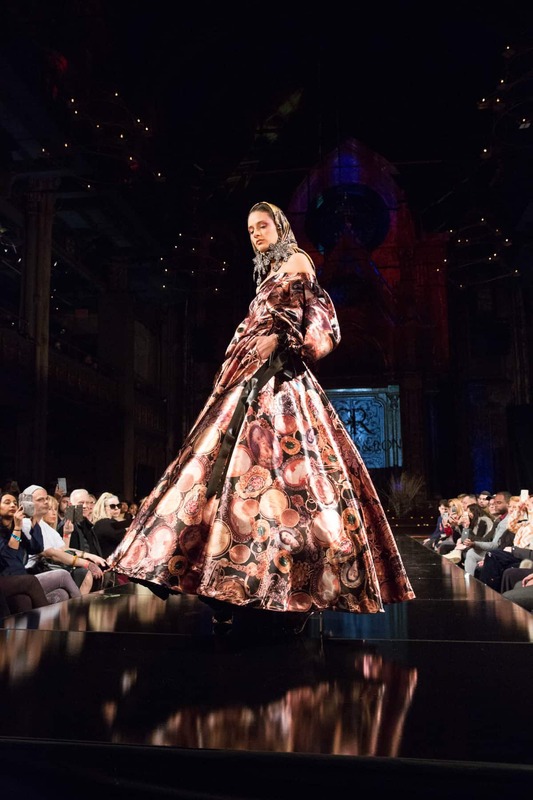 The duo presented their rich and shining Fall/Winter 2019 collection: “Fabiola”. 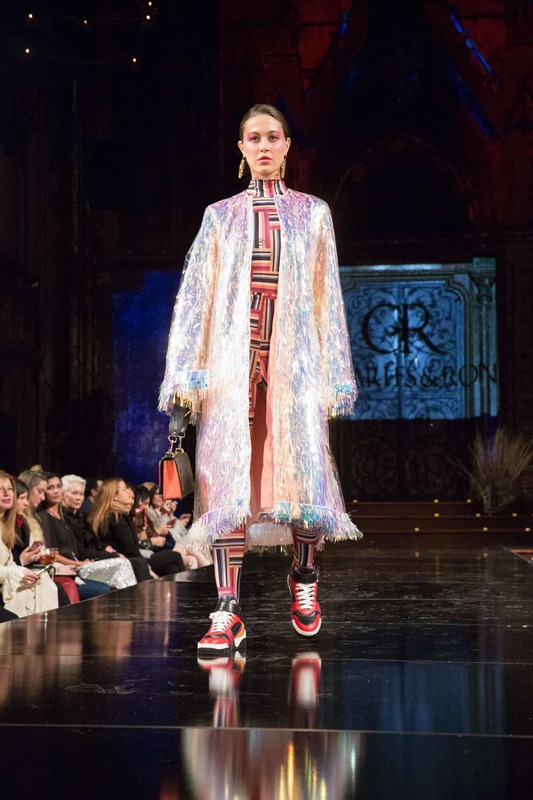 Charles and Ron presented this collection in memory of their dear friend Katya Saunders. The initial inspiration for this collection came through their research about Maltese jewelry. According to the designers, an image of Saint Fabiola on a gold brooch inspired the designs in this collection. Saint Fabiola is the patron saint of divorced people, victims of abuse and difficult marriages. It is often used as a decorative image and graphic print amongst Maltese women. New prints for this season included this images along with the C&R logo. 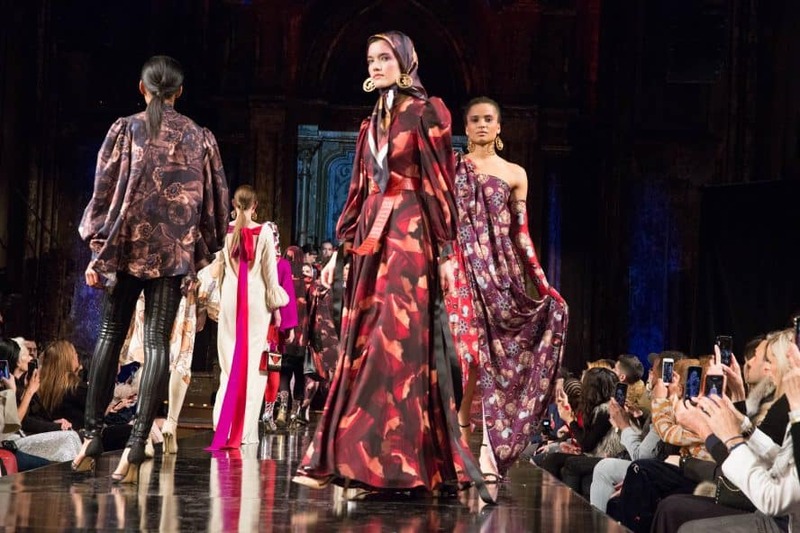 The stunning collection took over the runway in the luxurious fall color palette. Hues of purple, cardinal pink, chili pepper red, orange and lilac, all set off against staple black, camel and a soft winter white. 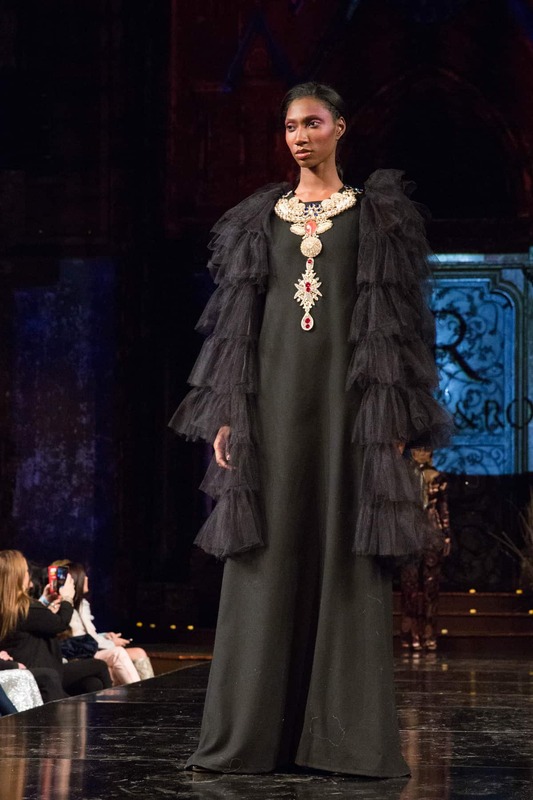 Crystal and glass hand beading accented the lush materials of velvet, faux fur, silk twill, chiffon, lace and pure crepe wool. Models carried printed velvet and Italian leather shopper bags and plain Italian leather and croc print saddle bags. A collection of menswear in graphic printed pants, shirts and colorful fur coats came down the runway. For womenswear? 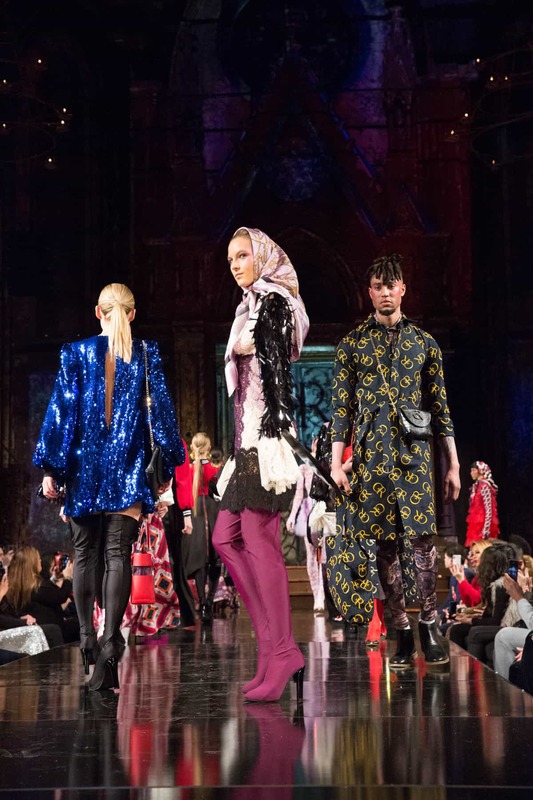 Gorgeous dresses, faux fur and sparkling coats, printed leggings and head wraps. Charles and Ron boots, belts and jewelry are all made in-house with the the finest attention to quality and detail. Our favorite piece was the long, iridescent coat that would make any woman feel like a shining star! We can’t wait to see what Charles and Ron bring to the runway next season. For more on this awesome team of designers check out our interview with them from last season.